Well it has been quite a summer! I have posted a variety of pictures of our happenings. They chart how I as a parent and my oldest are growing and moving forward. This top picture is on college move in day in August. 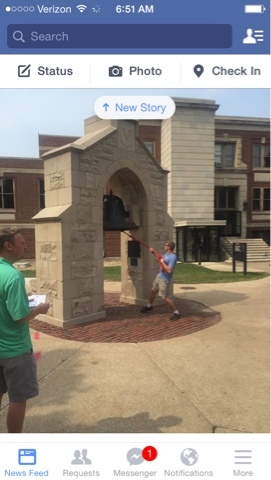 Our son is happily ringing the victory bell to indicate he is ready for college, more responsibility and we are to turn the reigns over (at least mostly) to him. That day was not filled with tears on our part as our son was so excited-how could you be sad? At this time he has had a week of classes, auditioned for choir and has started the rigors of college homework. 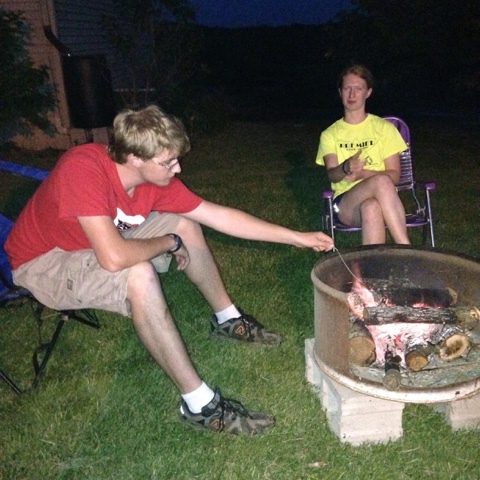 This picture was taken in our yard where we were munching on s'mores. We were hoping to keep the mosquitoes at bay. Much fun was had even if we were a little itchy later. This summer meant looser rules, no homework and slowly saying goodbye to friends that were taking their next step whether it is in the military, employment or off to school. 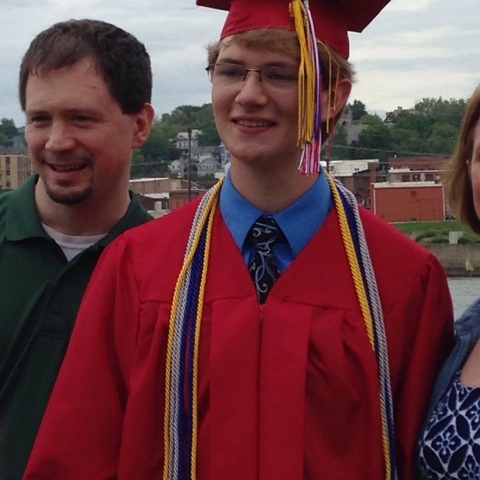 Graduation! A day filled with emotion. What a wonderful young man! 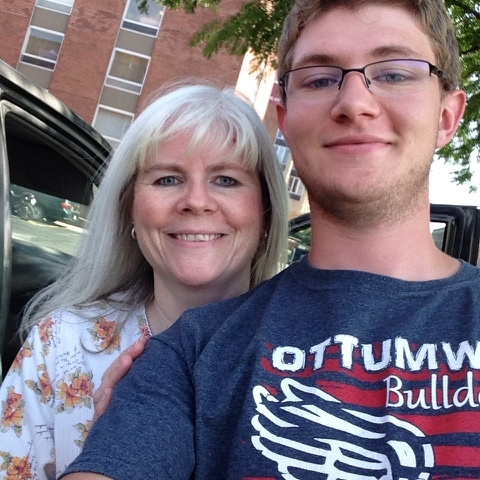 This picture was taken just a couple days ago as my husband and I visited our son at college to bring up a few things forgotten in the initial move. He seems to be thriving. I try not to ask too many questions but continue to guide from my armchair. Looking forward to seeing where the next steps will lead us...to be continued. Used Bookstores Are Full of Treasures!